Aqwalife Foundation partners with Deep Springs International to bring clean water to the poor in Haiti. Using a simple and affordable home chlorination system called the Buckets of Life, poor families can treat their drinking water regardless of the source. 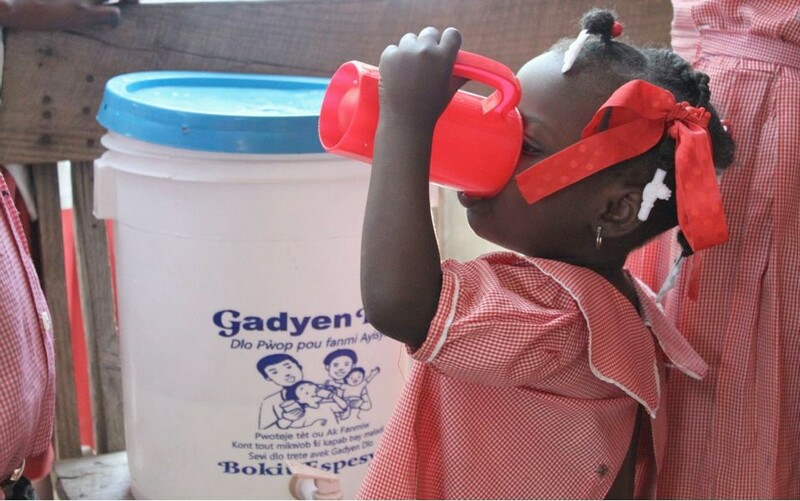 This approach is very inexpensive, even for the poorest Haitian families and is effective in reducing diarrheal disease and cholera. Even before the earthquake in Haiti, access to clean water was extremely limited. The lack of safe water sources and access to treated water combined with increased vulnerability placed the population at great risk for diarrheal disease. The cholera outbreak, which began in 2010, resulted in Haiti having more cases of cholera in 2011 than all other countries combined. As of February 2015, more than 8,800 people have died and over 730,000 people have been infected with cholera. Starting in late 2013, there was the flexibility to try new initiatives to empower more Haitian families to treat their water with chlorine. In early 2014, the price of a bottle of chlorine was standardized throughout all of the sites and more incentives were added for Regional Supervisors to sell chlorine and recruit new health agents. The results were encouraging: 6,946 bottles were sold during the 12 months of Aqwalife funding, which is 70% more than the 12 months prior. 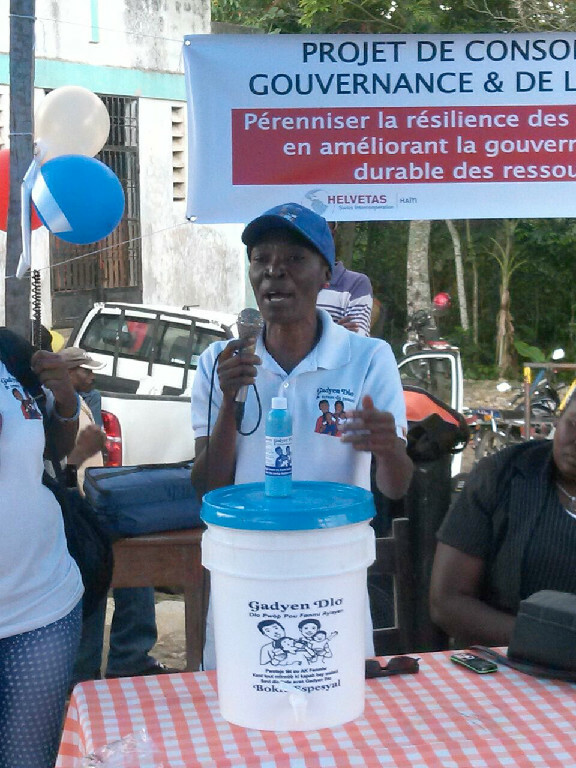 In fact, more safe water was provided through chlorine sales in 2014 than in any year in the history of work in Leogane. A major reason for the increase was recruitment of new sales agents. Prior to the start of Aqwalife funding, 126 agents had made at least one sale in Leogane. During the 12-month period, 82 new agents were recruited. Agents have continued to be added since then, more than doubling the network of sales agents since the start of Aqwalife funding. The Leogane project aims to sell enough chlorine to treat over 9 million liters of treated water in 2015, which would save an estimated 48 lives. The Aqwalife funded portion of the project will provide enough chlorine to treat 1.4 million liters of water. The beneficiaries will be residents of the Leogane commune as well as neighboring regions such as Gressier, Grand Goave, and Petit Goave. The first sales agents in Gressier and Grand Goave were recruited in 2014 and an initial training was conducted in Petit Goave in 2015. The Leogane region and two other regional programs in Haiti are supported by eleven staff at the National Office, located in the town of Leogane. Leogane staff include three Regional Supervisors, three Production Technicians, three Drivers, and the Central Administrator and Program Director who also work on projects in other regions. In addition to managing local health agents, Supervisors are responsible for the marketing strategy, which includes radio spots, placing banners and informational materials in communities, participating in community events, and offering price discounts. Local agents, who will be supervised by three Field Supervisors, will conduct the distribution of household water systems and training. Chlorine is produced at the National Office in the town of Leogane by a production team. 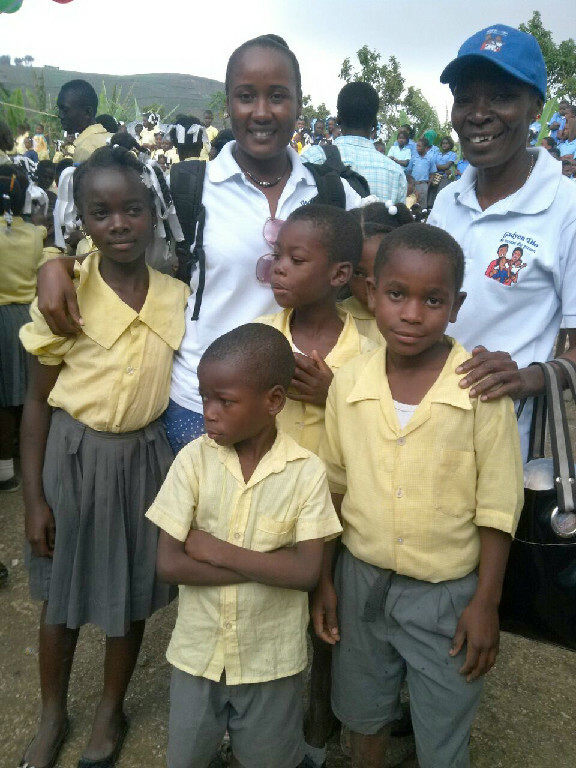 Mèsi anpil (thank you) for your support and consideration of the ongoing needs in Haiti!